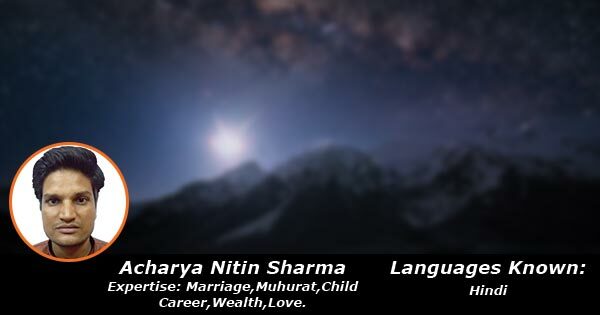 Acharya Nitin has a vast experience of 8 years in the field of jyotisham. After completing his graduation in Jyotisham and Dharm -Shastra, He has successfully completed his masters degree from jagadguru Ramanand Acharya Rajasthan University Jaipur. He is specialized in Horoscope reading, marriage, Muhurat , Child and Career, wealth and Love.